"Ghostwriter? That is unethical," says the law firm marketing director to the ghost. “Ghostwriter? That is unethical,” says the law firm marketing director to the ghost. Every writer knows that writing takes time. Behind what looks like a simple article, presentation, speech, memo, proposal, blog post, or legal brief may be hours and hours of researching, organizing, and editing for improved accuracy, word choice, and punctuation—clarity and flow. It takes practice, talent, and time to write effectively; and time is a finite resource to be allocated with discretion. I believe we can all agree that reading a well-written article is much more enjoyable than slogging through a meandering one that never really gets to the point. Over lunch the other day a law firm marketing director and I were discussing the likelihood of a particular law blog’s success, considering the author’s busy practice and time constraints. When I suggested that an experienced editor could help—not the practice chair checking for ethics violations or marketing director searching for lost commas—the haunted look in her eyes threw me into high alert. “You mean a ghostwriter? That is unethical,” she said. There is nothing troubling to me about hiring an editor for a blog or ghostwriter for business and marketing communications. It happens all the time and it works well for all involved. But there’s a rhythm to it that includes strict parameters, expectations, and trust. Frankly, to me, it is no different than hiring an electrician. Not to belittle the craft of a ghostwriter or an electrician, in fact just the opposite. If my lamp goes out, I know how to change a light bulb. But if something more critical, like installing track lighting is on the agenda, I’m going to hire an electrician. It would take me far too much time to figure out which breaker to turn off and what wires to connect to get the job done efficiently and effectively. The likelihood of it not getting done properly, or at all, is high. Likewise, if content is critical to your marketing strategy—purely a business proposition—why wouldn’t you hire the best-suited individual to do the job? I see very little downside and lots of upside to using an accomplished professional. !!!! Before you jump to conclusions, I’m not suggesting that you hire a ghostwriter for your blog. In fact, I’m strongly in the camp that believes a blog, in its purest sense, should be a personal journal of sorts that documents the ideas, knowledge, opinions and insights of the author no matter how well or poorly written. Thus, blogs are not the optimal domain of a ghostwriter. An editor? Yes. On the flip side, do I think there is a dearth of well-written law blogs? Yes again. But that’s the spillover effect of lawyers and their marketers thinking that blogs are the holy grail of 21st Century legal marketing. I would never advise a law firm to publish a blog without the right resources in place—a lawyer willing to spend their free time, as scarce as that may be, to opine and write good copy. We ghostwriters really aren’t the scary apparitions you believe us to be. Fearing the concept of employing a ghostwriter for leadership articles, speeches, scripts, presentations, proposals, whitepapers, books, and etc. is simply without cause—reasons that are not related to any misconduct. If you fall into the category of “Busy Marketing Department” or are a lawyer who hasn’t vacationed in the past year…listen up. 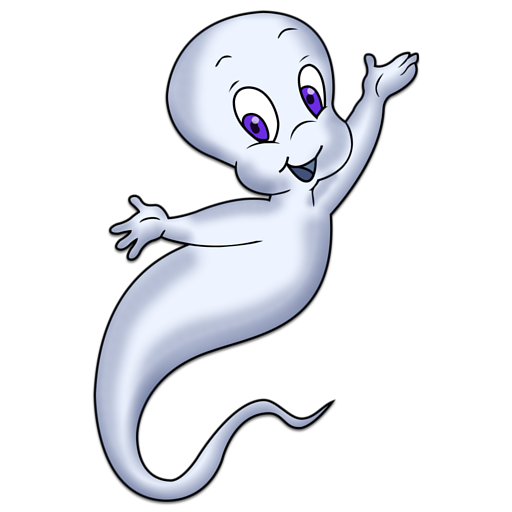 Casper is a friendly ghost. Ghostly confessions of a Casper. We are energized by a challenge. Throw us a topic and we will masterfully research, uncovering reader friendly connections to enhance your thesis. The good ghost is a quick study. We’re introverts. We don’t seek the limelight and are perfectly content to attribute our contributions for money and your satisfaction. Our hearts are full when we collaborate. Give us access to your organization—interviews with your experts or their drafts, notes, and research, and offer us insight to your brand. We promise not to haunt you. We work best when you can communicate your goal. Ghostwriters are tacticians, not strategists. We depend on you to give us an overview of the audience to whom you wish to connect with and the stakeholders involved in the process, i.e., the by line author, the practice chair, the CMO, and etc. Guessing is inefficient. Guessing typically means major re-rewrites. If you don’t know, then tell us. We won’t be upset if you’re not upset when we miss the target and have to start over. It happens. Give us your specifications and we’ll fly with it. We might, however, make a suggestion or two. We don’t place a value on ownership. We’re happy to build the yacht, we don’t care about owning it. Enjoy your new ride. Edits to our work never involve ego. We are vapor. Here today, gone tomorrow. However, we are especially keen on you keeping us around because we are helpful and add value, or referring us to a colleague. Like you, we love the heroes and despise the villains. We can swoop in at a minute’s notice to rescue you from obliteration—or other non-life threatening situation such as we paid x-thousand dollars to publish this article, book, website, presentation and it’s due next Wednesday. Time? That is our commodity and it’s endless. When your supply runs dry, we provide more—humanly impossible amounts. Talent? Practice makes perfect. We’ve probably written more copy and content than any human being on your team. Spirit? That’s our bailiwick. The more difficult the assignment, the more willingly we embrace it. The ghostwriter has plenty of wind under their wings—or vapors. Before you shoot it down, consider: Is my (or an attorney’s) time best-used writing, re-writing, editing, and re-writing again the article, proposal, presentation, etc. in order to look brilliant, yet in the end succeed at nothing other than to bore the audience? Ghostwriters can be a godsend. The idea may be haunting but the reality—not so much. A ghost can be your best friend, and you can save time and lost revenue because you could be with clients or make a strong impression with prospects through publishing expertly written words. Kat: For not believing you, for thinking you were a total loser. Dr. Harvey: Aww honey… apologize later! For editing and ghostwriting experience, don’t call ghost busters, call us! Jayne, nice article. My view is that lawyers all day and every day incorporate the contributions of many others to deliver high quality legal services to their clients. Call it what you will, define it however you want, but I’m confident there isn’t a single lawyer who spends all day relying solely on whatever is included in his/her brain to practice law. That said, simply regurgitating others’ work isn’t sensible, whether writing a brief or publishing a blog post. There’s a lot of room between relying on others to inform one’s views and standing idly by while another speaks for you. Ghost writers can certainly help provide a framework, flesh out commentary, research anecdotes, confirm statistics and quotes, research citations, and so on, and they can even compose sections. But ultimately a lawyer should “own” the final result, in the same way that a legislator will rely on staff to provide background but will ultimately cast the only vote, or an athlete will rely on coaching but is the only one to take the field, or a businessperson will rely on staff to produce a business case but will decide on the way forward. So a lawyer publishing a blog post should know and agree with every word on the page, and should also publish in his/her own voice, and should be the one to engage the reader. Whether some of those words are provided by others who helped shape the lawyer’s perspective is immaterial. Thanks, Tim. Spot on. I’ve never ghosted where there wasn’t significant input and definitely sign off from the author – attorney or other. Who wants to get into a he said, she said situation if it blows up in your face? If it has your by-line, then by god, it better be blessed by you. If you’ve ghosted it you don’t want to breach an ethical requirement or misstate an opinion. The backlash is painful. That is why, in my thesis here, I emphasize that strict perimeters, expectations and trust are most important. With the volume of content leaving the desks of lawyers and law firm marketers and on to the web, I question, “Can it be sustained?” I suspect there will be an increase in the need for talented editors, and writers. The slack between professional journalism and citizen journalism is likely to be short-lived. For law firms, a new model of getting content to market may cause some disruption. Glad to start the conversation here on the VMO blog! I’m a seasoned news media professional recently turned licensed lawyer. My natural metier is news writing and now legal content writing and editing for other attorneys. Another lawyer that’s serving as a firm’s blog ghost on legal content should present no ethics problems, any more than hiring a per diem or contract lawyer for the delegation of legal drafting, client appearances or other work. And he’s under the same ethical constraints and obligations of those contract lawyers. However, likewise, the firm or lawyer for which the content is produced has to take responsibility to exercise the supervision required under the RPC. But’s that’s nothing more than good business sense anyway. And I agree there is no ethics problem with hiring an editor: in fact I recommend it! Everyone, no matter how good, should always run copy for Web publication through another set of eyes, just as they should a court filing. By the time you’ve written it, re-written it, then edited and re-edited, the author has so much of the content swirling upstairs that his eye naturally jumps past those pesky typos, missing words, and logic reversals. In my prior role, I would often draft an idea for a lawyer to make their own on one of the firm’s blogs, generally outlining the facts of a situation on while they might lay their legal insight. Some were inspired by this and came back with a post that was nothing like what I suggested. Others did as I hoped and integrated the outline of the situation into an expert review of the legal issues. While this role might be the shape of ghostblogging, I thought of it more in the editorial sense you recommend. I was involved both from the story direction and the review of final text, but as to the legal knowledge and analysis, I had no role whatsoever. Plus, we had every post reviewed by our firm’s general counsel as a final vetting, which I consider a best practice. Should U.S. presidents, governors, and legislators that also happen to be attorneys be sanctioned for having speech writers? Aren’t they often merely claiming ownership of other people’s work? Is that a material misrepresentation? The assumption with much of the ethics discussion around ghostwritten law firm blogs is that a byline signifies creation. I would argue the standard on the Internet is a blog byline signifies ownership, not creation. The lawyer or the firm is responsible for the post content the same way a politician is responsible for the contents of his or her speech regardless of the drafting process. Even if blogs are held to be advertising and thus subject to the special ethical rules around attorney advertising, when ghostwriters are used responsibly as outlined by a number of the above comments, the lawyer is not making a misrepresentation by having a byline on something they directed to be created.